Enjoy a relaxing weekend at Hanaholmen and enjoy the building’s gorgeous architecture, art, design, delicious foods and a good night’s sleep. On Saturday, you can participate in an atmospheric sauna experience and guided art tour. Hanaholmen’s wine bar will organise a pre‑dinner with changing themes. The icing on the cake of the theme weekend is a high‑quality à la carte dinner and incredible wines at restaurant Johannes. Sunday morning is enjoyed with a long sauna and a buffet breakfast. * Included in the normal room price during Art & Wine weekend. 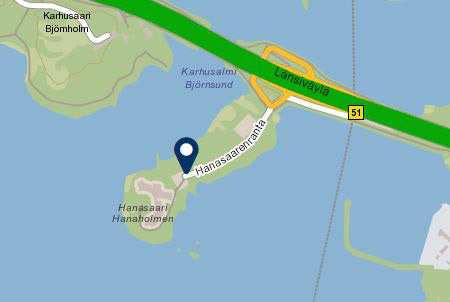 We recommend booking your accommodation and dinner beforehand either directly from our reception: reception@hanaholmen.fi / +358 (9) 435 020 or through the reservation links on this website. When reserving your accommodation online, you can reserve the guided art tour via the additional comments field (we will confirm reservations separately, subject to availability). Reserve a dinner table here. You can also reserve everything at once from our reception by calling or e-mailing us: reception@hanaholmen.fi / +358 (9) 435 020. Next Art & Wine theme weekends will be held at Hanaholmen on August 31st and October 12th, 2019.